Discussion in 'Cross Country, All Mountain & Trail Riding' started by chillindrdude, Nov 14, 2012. I am leaning towards 650b over 29r. Looking for something in the 130-150mm travel range. Slack and low please. I like the ride of the dw-link and vpp. But leaning towards the dw-link for efficiency. Prefer carbon. For those who ride trail bikes with vpp...do you flip on propedal often? Any noticeable feedback? Wonder when the Ibis will be out. The concept seems nice. Not sue I would jump on 650b this quick. I've been drooling over a Carbine 275......looks like a sweet rig. I think you'll be safe on a 650b. Manufacturers are jumping in in a big way. Tire variety isn't great, but the selection is pretty good. Nevegals and neo motos are great tires, and schwalbe has their full lineup of trail tires available in 650b. I'm not sold on the carbine with swappable dropouts, but I'd be interested in the tracer stuff. I think the Norco lineup (range and sight) look amazing. The Burner is an unfortunate mix of turner laughing in the face of virtually all accepted knowledge about handling. 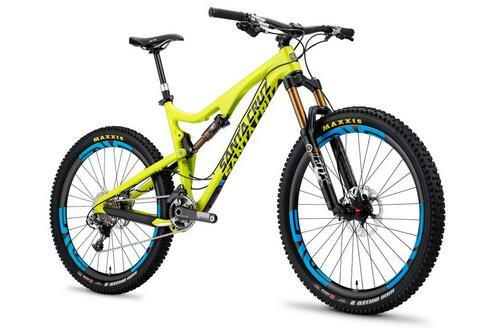 It has 17.5" chainstays, which you can find on many 29" trail bikes. The whole point of 650b is to get better handling bikes because of less restriction on geometric compromise, and they design a bike that's not going to handle better than a 29er. Same holds true for the Sultan, which has 18.1" chainstays. 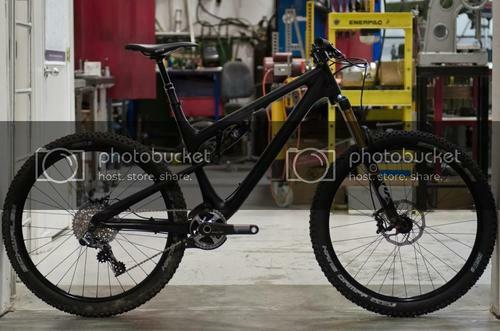 On the 29er front, the Ibis appears to be vaporware and the pivot has long chainstays. Same with the tallboy. The yeti is only 17.5". The only 29er I'd really consider is the devinci atlas, at 17.3" stays and DW's wonderful split pivot. I think it comes down to whether you want to put up with the handling compromises of a 29er. Those longer chainstays really turn the bike into a pig and you'll suffer in tight corners. In my mind, that's why 650b works...and why 29er long travel bikes do not. 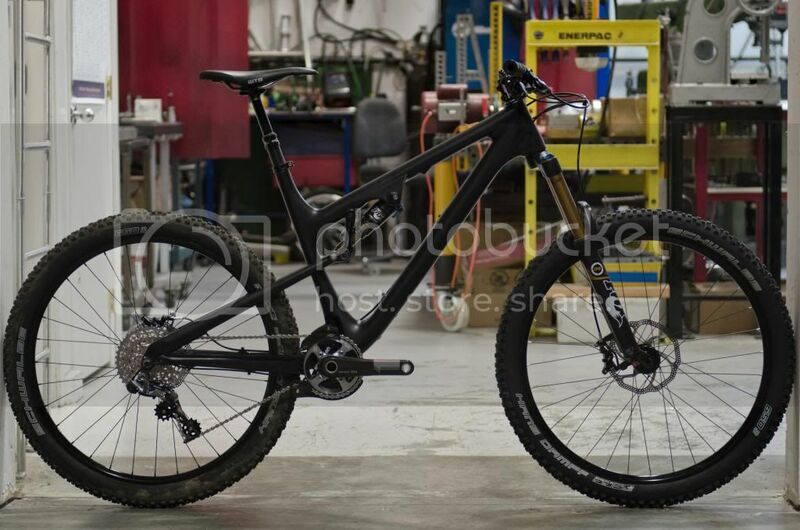 Why not the Specialized Stumpjumper EVO Carbon? Not a fan of FSR. Too wallowy...too dependent on propedal imho. Okay I have never ridden one. FSR but looks amazing and I would say a perfect build. 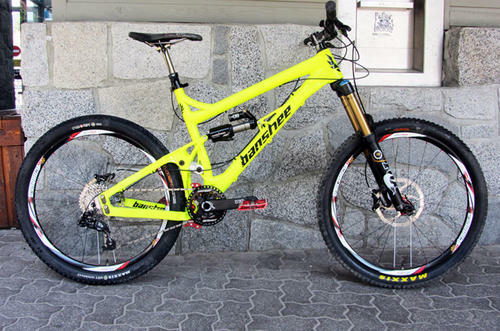 Impresse how the Canadians both Norco and Rockey Mountain have some killer 650b bikes ready to market. Just got a new Jamis Dakar 650 B Comp I'm happy as I can be with it. I am leaning towards 650b over 29r. Looking for something in the 130-150mm travel range. What do you ride today? Some nice 26" frames can be converted to 650b with good success and most people who done that report they feel like a new bike. I built three 650b conversions last year, my current bikes are a 456C and Mojo HD 160, both with 650b wheels. PS: Rumors are, the next Knolly Endorphin will be a 650b bike. That would be an uber sweet bike but it may take a while before it materializes. Im riding a tallboy aluminum currently. Its testing well. But id still like to try a dwlink bike before my final purchase. but i love that you can go between wheels. 650b for some east coast rox and then throw the 26ers with holy rollers to shred highland and then throw DHF 2.5s on and take it downhilling. That's up there with the norco range/sight. Yeah versatility sold me on it. It's coming soon enough in the mail. I particularly like the fact you can build a dishless wheel and run it on a trail bike. Makes for a solid and stiff rear end. Hope it's more reliable than the one I currently have, which is a nightmare maintenance wise but a bitchin bike otherwise. I should be getting a new V2 Spitfire to replace my V1 model, but getting Banshee/Trident to follow through is taking forever. But I am planning on trying out 650b if and when I finally get it. Sold a 2010 Trek Top Fuel and started riding a Jamis 650B. Loved it, but not as much as I love my Scott Genius. The Twin Lock switch is awesome and makes this bike a climbing machine! Of course it really shines downhill and cornering. My LBS has a few different models still in stock (27.5 hasn't kicked in here just yet, of course it is early in the year). 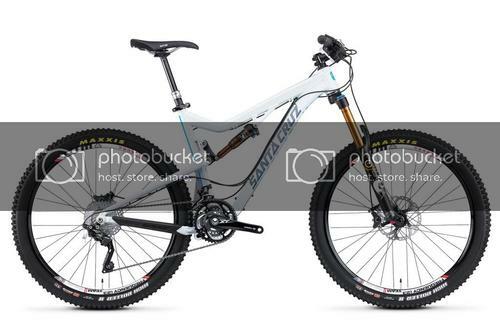 I bought the Genius 720, but I know he has a couple alloy frames and two 700 models (drool). have your Jamis frames broken yet? i have yet to see one that hasnt broken. still up in the air. would love to check out a turner burner. also i am waiting for pivot to unveil their prototype in the works and ibis to announce the ripley is available. the shop just got in a large 5.7c and ive been anxiously waiting for it to warm up a bit. it sure is purty...which is a good selling point! Damn that spitfire looks feisty! 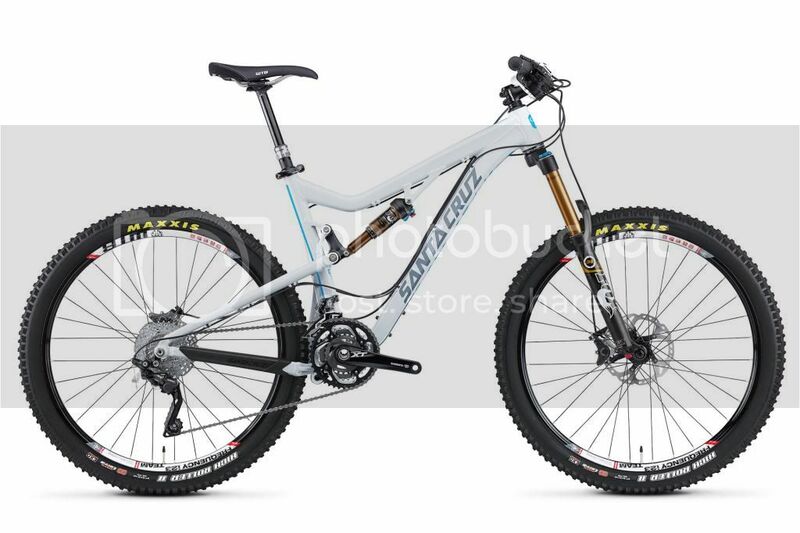 A friend of mine just ordered the Carbine 275 so I should have my hands on that in the next month or so. I can't get over how good that Banshee looks though. Same length as the Devinci Atlas Carbon Sandwich mentioned in the thread - 430mm. Has a long wheelbase - 45.6" in a medium. OP was looking at the 5.7C, 44" WB in a medium. That could be awesome. I didn't see the pivot height though. Same here...getting ready to give them a call and see what is up. Looking to change vs Tallboy LTc? The reg tallboy really has grown on me. Would get the tallboy ltc but want that playfulness of the 26r. Hoping the 27.5 will give alittle of both. I was looking at the carbine...but trust the cs and reliability of SC far more. Two decades of evolution at Santa Cruz brought us here. An entirely new frame, new wheel size and new perspective on what a 6" travel bike can conquer. Bronson is not some rehashed 27.5" tribute act to anything else in our range. It stands alone as testament to the years of designing and refining at our old Bronson Street facility. Locked up for months of secret testing, Bronson breaks straight onto the scene as the Syndicate's race bike for their Enduro World Series campaign. From Tazmon to Bronson... Santa Cruz continues to lead each new era in mountain bike design. - 142 mm rear axle spacing. - New molded rubber swingarm and downtube protectors. - 2 x bottle cage mounts. - Forged aluminum lower link with angled grease ports: offset for chainguide clearance. - Collet axle pivots: lock in place without pinch bolts. - Angular contact bearings: all pivots. - Direct mount rear derailleur hanger option: standard hanger comes as stock. - Full carbon dropouts and disk mounts. - Co-molded aluminum hardware on frame pivots: no bonding. - Routing for Reverb Stealth. - 73mm threaded BB: creak-free riding and easy installation. I am waiting till sea donkey, if the SB95c is available I will buy one, if not, I will buy a Ripley. The Ripley probably has better tire clearance. I've heard the Nobby Nic 2.35, Panaracer Rampage 2.35, Geax Sturdy 2.3, and especially the Hans Dampf 2.35 all rub the seat tube on the regular SB95 with big hits. That's a little bit disappointing, but maybe people are buying into the wheel size rather than geometry argument that I always use. I don't see any reason for a 17.2" chainstayed 650b when you can get one in 29". Dave Turner said he put even longer ones on the 27.5 Burner because people complained about the front end wandering when climbing. I like my 26" RX a lot with 17.1" stays compared with many bikes I've had with 16.75", I don't see the big deal. Short CS alone aren't the most important number but this bike is not for me as I'm not selling my RX yet and I don't want longer WB - I am not riding trails that fast that often. yeah but 17.1 to 17.5 is a lot different than 16.7 to 17.1, regardless of the actual numerical value. Also, say what you want about turner and his magic homerisms (GASP blasphemy) but his geometry on big wheeled bikes is completely hosed. over 18" stays on the sultan and 17.5" stays on the burner. Way to defeat the purpose of the middle wheel. People with wandering front ends need longer stems or steeper head angles, not 2 inch longer stays. It's not the only number, but it's an important one, and ignoring it isn't really the answer either.